There are two ways to configure ISDN in a Cisco router. The first one is to setup the ISDN connection to be always on. This method will be very costly because most ISDN service providers charge not only by monthly subscription, but by the amount of data that you transfer. Having the connection opened 24/7, will cause extra expenses because all kinds of traffic will pass through the ISDN link. The second method is Dial on Demand Routing (DDR). DDR employs a mechanism that filters the traffic into interesting (worth connecting for) and non-interesting (not worth it). Using the DDR the call scenario will be that the router does not setup the connection until “Interesting” traffic needs to be routed to the other side. Once the connection is setup, ALL kinds of traffic (interesting and non-interesting) will pass unless you filter the passing traffic with an access-list. Then, the router sets a down-counter (idle-timer), and if no interesting traffic comes in and the timer goes to zero, the connection is terminated. If interesting traffic comes in before the idle-timer is finished, the traffic is passed and the idle-timer is reset. What made this function possible is the very small call-setup time in ISDN. If you are connecting two nodes using ISDN, keep reading. However if you are connecting more than two nodes, you will need to refer to this procedure for configuring DDR Dialer Profiles. 1. 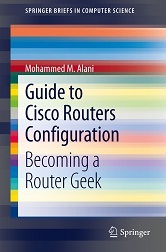 The first thing to do is to setup routing. Static routing is usually preferred with DDR. Setting dynamic routing protocol, will cause the link to be on all (or most) of the time. Thus, static routing is a better solution. You can setup dynamic routing and tune it a bit for the DDR. This tuning might include changing the timers of routing updates. Remember that you need to setup routing on both ends of the WAN link. The numbers used here should be provided to you by the ISDN service provider. Most providers in Europe do not use SPIDs in their ISDN networks. So, unless you are supplied with SPID numbers from the provider, just neglect all the commands of setting SPIDs in this procedure.